As flawed as the Chrysler Sebring Convertible might be, there's simply no other drop-top on the marketplace at its price point. But if you want a more refined vehicle, you might take a look at a used Volvo C70 or BMW 3-Series Convertible. The 2013 Chrysler 200 Sedan and Convertible models are quite comfortable, and even though they offer a good list of features for the money, it's hard to forgive their outdated look and lack of refinement. Chrysler gave its Dodge Avenger and closely related Chrysler 200 (formerly Sebring) sedans a much-needed refresh a couple of years ago, but despite a memorable ad campaign with Eminem, the car was mostly a case of too little, too late. The overwrought styling, low-buck interiors, busy ride, and a general lack of refinement of the original cars were merely served to show how they should have been a few years earlier. As they continue into 2013--for one more year before being replaced by all-new models--these sedans stand as bargain-priced, relative to other mid-sizers, but not entirely competitive with respect to styling, features, or fuel economy. 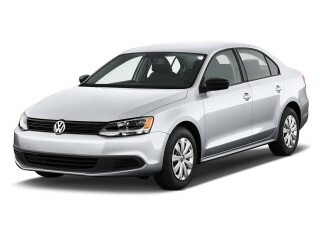 Although the 200 looks dated on the outside, it feels up to Volkswagen standards on the inside, and it includes materials and finishes that are a world better than the old hard plastics. Likewise, Chrysler has doubled up on insulation to make the 200's interior a very quiet place (except for the coarse four-cylinder engine's note), and softened the ride. While handling and ride quality might still not be its forte, the 3.6-liter Pentastar V-6 and six-speed automatic is a strong, refined combination and the base four-cylinder and six-speed automatic is a tolerable combo; just stay away from the base four-speed automatic in the LX. The silhouette of the 2013 Chrysler 200 has a way of tricking you into thinking the cabin is somewhat small for a mid-size sedan--and the combination of the tall dash, wide seats, and narrower glass areas add to that visual 'trick'--but once you climb in you'll be a convert; whether by the numbers or from inside, the 200 stacks up really well against segment leaders like the Hyundai Sonata. Even in back, there's enough space for two adults, or three in a pinch, although the high beltline might require some Dramamine. The Chrysler 200 is missing some of the active-safety features now offered in other mid-size sedans, yet it's a safe, secure pick, with top ratings from both the Insurance Institute for Highway Safety (IIHS) and federal government. For 2013, Chrysler allows more buyers to get the special look of the 200S by offering it as an 'S' package rather than as a separate model. 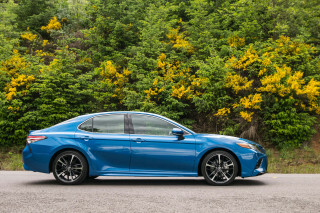 Three different S packages dress up the LX, Touring, and Limited models to include 18-inch polished painted wheels, a black finish grille, fog lamp bezels, projector fog lamps, black headlamps, and a black Chrysler badge. The 2013 Chrysler 200 remains also offered in two-door Convertible form, offering the same two engines but with somewhat different equipment levels. These models, while a mainstay in rental-car fleets, are reasonably good picks for those who want a convertible on a tight budget and plan to cruise but don't need a vehicle that feels sporty. Back-seat space and trunk space in 200 Convertibles, whether you go for the hardtop or softtop, are better than in most other drop-tops. 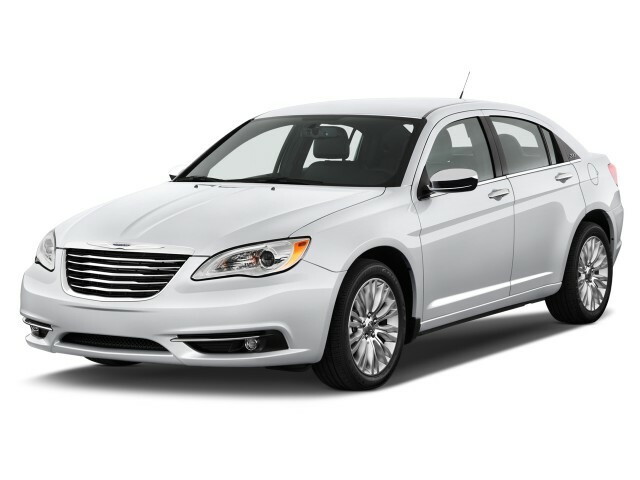 While its proportions remain unflattering on the outside, the 2013 Chrysler 200 is tasteful and nicely detailed inside. A couple of years ago Chrysler gave what had previous been called the Sebring a visit to the salon; it emerged with mostly new (although subtly changed) body panels, and a more sophisticated look overall)--as well as a new name, the 200. The changes altogether were no revelation or abrupt turnaround for this mid-size Chrysler sedan, but they did increase its street presence a bit. The 200's nose could be mistaken for that of a luxury car (a Mercedes-Benz, perhaps) at quick glance, and the grille is soft and sophisticated. There's a casual grace to the taillights as well. On the other hand, the Sebring's old side profile and roofline are still there, and they never quite fit into the market. Details on the outside otherwise are a bit lacking--like the plastic "200" badge at the rear door's sail panel. Inside, the Chrysler 200 has the right look and feel, and a luxury ambiance that might help you temporarily forget about the lack of exterior pizazz. With tight, low-gloss plastic that gives to the touch, and thin metallic highlights (tastefully done here) that ring the major driver-control areas simply and subtly. A rounded clock top and center mimics the shape of the grille, and the dash has a look that's a little sharper than the smoothed-over design of the Chrysler 300. That's fine, but we've noticed that the black-plastic facing material tends to gather fingerprints, and some of the instrument clusters still have green backlighting. As for the 200 Convertible, we tend to think of them as a bit ungainly in profile with the top up; luckily when you drop the top they're more dashing. There are two different configurations--retractable hardtop or cloth soft top--and the soft top is arguably the smoother of the two due to the complex set of cutlines you get with the hardtop. The strong, smooth V-6 make the Chrysler 200 a confident highway cruiser, but it's by no means a sport sedan. The 2013 Chrysler 200 comes in four-cylinder and V-6 flavors--and they're more different than ever. We can't provide much reason to get models with the base 2.4-liter, 173-horsepower four-cylinder, as it's raspy, raucous, and thirstier than other base fours. On the other hand, the V-6 is smooth, as well as very quick, as you might guess for an engine that ups the ante by 110 horsepower. Chrysler is installing this 3.6-liter Pentastar V-6 on many of its products, ranging from the Jeep Grand Cherokee to the Dodge Challenger, and even the Jeep Wrangler, and we unanimously like it for its smoothness and flexibility. 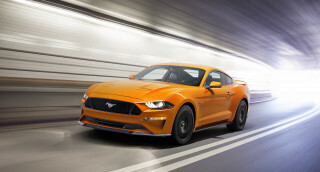 In the 200, it's thrusty and a little thrummy in the middle of its rev range, but with 283 horsepower on tap, with 260 pound-feet of torque, it makes the 200 feel unexpectedly quick. We wouldn't call the 2.4-liter gutless--it's actually quite perky for a base engine--but its lack of refinement tosses aside any luxury-sedan pretenses from the cabin look and feel. Its coarse tone has been quieted by more noise blanketing in recent model years, but there's still some bothersome vibrations as well as a flat spot in the middle revs. Base LX models still come with a four-speed automatic transmission that you should stay away from for its widely spaced gears and jarring downshifts; the four is more agreeable with the six-speed automatic in other trims, although in either case it has to work around this engine's flat spot in the mid-rev range. Provided the road is relatively straight, the 200 feels solid and unruffled, with nice weighting from the hydraulic power steering, and actually some road feel. Technically, four-cylinder models handle a bit better, as the V-6's extra torque leaves the front wheels frequently flustered for grip (there's quite a bit of torque steer in those models too). This observation is far worse in 200 Convertible models. With so much wiggle and shake, you'll want to calm everything down a few miles per hour for your passengers (and yourself), and leave them to Florida rental fleets. The 2013 Chrysler 200 Sedan is spacious, quiet, and comfortable; as for the Convertible, it's tight in back yet one of the roomier drop-tops. The silhouette of the 2013 Chrysler 200 has a way of tricking you into thinking the cabin is somewhat small for a mid-size sedan--and the combination of the tall dash, wide seats, and narrower glass areas add to that visual 'trick'--but once you climb in you'll be a convert; whether by the numbers or from inside, the 200 stacks up really well against segment leaders like the Hyundai Sonata. In front, there's plenty of space for even taller drivers to sprawl out, with comfortable front seats. However we've noticed that they're a little odd to get into and out of (due to the shape of the door framing) and they lack much back support. In back, it's a different story; the seats are easier than typical to get into, thanks to the tall roofline, and there's enough headroom and legroom for a couple of adults--even though the high beltline can bring a sense of claustrophobia to the whole ordeal. Even though the 200 doesn't handle very well, its ride quality isn't so great either; it tends to bound over pavement irregularities, especially in the V-6 when cornering. For the most part otherwise, the cabin is a quiet, civilized place, and Chrysler has wedged more sound deadening beneath the floor and by the firewall to help quell most of the road and wind noise, although you still get some unmasked droning and vibration from the four-cylinder engine. Focusing on the 200 Convertible, we've noticed that the seats--perhaps in an effort to save interior space--feel flatter and even more lacking in support. Back seat space in these models is quite tight for adults, but relative to most other drop-tops it's doable. But it's one of the quieter convertibles, and the snap-up windscreen behind the front seats does help. In sedans, trunk space is a few cubic feet smaller than in most alternatives. As for convertibles, it's respectable bordering on roomy, with enough space for several weekend bads. Feature-wise, the Chrysler 200 is no standout; but its safety ratings have been solid. In models like the Chrysler 300 it's rolled out some advanced-tech safety features like adaptive cruise control, blind-spot detection, adaptive headlamps, and collision mitigation, but you won't find any of those features on the smaller 200. Still, the 2013 Chrysler 200 does come with all the expected standard safety items, as well as top ratings pretty much across the board, from both U.S. agencies. The federal government has tested the Chrysler 200 sedan and awarded it four stars overall, with four-star scores for frontal impact and three stars for side impact. Also, the Insurance Institute for Highway Safety (IIHS) has given it top 'good' scores in all areas, earning Top Safety Pick status. And in the new IIHS small overlap frontal test, it performed well enough ('acceptable') to qualify for the new IIHS Top Safety Pick+ accolade. As for the 200 Convertible, it lacks the curtain airbags of the sedan, but it does include all the other safety equipment from the sedan. There aren't any current crash-test results to size up its safety, though. Rearward visibility tends to be an issue in the sedan, given the thick rear pillars and rather high beltline, but you won't find a rearview camera or blind-spot detection on the options list, either. Touring and Limited models of the 2013 Chrysler 200 are strong values, but base models still lack Bluetooth. With this model's rehabilitation a couple of years ago, and the name change to Chrysler 200, it's became better equipped and a stronger value. with more safety and entertainment features. Yet the base model still doesn't include Bluetooth hands-free calling connectivity. In the base 2013 Chrysler 200 LX sedan, you have to deal with the four-cylinder engine and four-speed automatic but otherwise you end up with a very well-equipped car. This model includes air conditioning, power windows/locks/mirrors, cruise control, telescoping/tilting steering wheel with audio controls, an AM/FM/CD player. Bluetooth is an option here, while it's standard on somewhat more expensive Hyundai Sonata--and this 200 doesn't offer a USB port or control iPods, though it does come with an auxiliary audio jack. 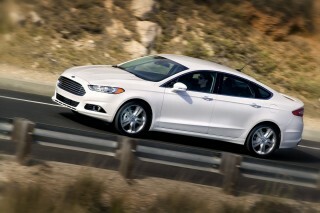 Touring sedans adds automatic climate control, a Homelink garage door opener, a power driver seat, and satellite radio. A sunroof is an option, as is Bluetooth and a DVD/hard-drive audio system with 28GB of storage. On these models, the V-6 is optional. 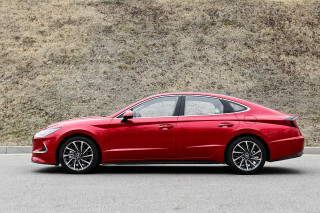 At the top of the lineup is the Limited sedan, which can be ordered with either powertrain and gets 18-inch wheels and tires, Bluetooth with voice commands for audio and phone, a USB port, leather seating, and heated front seats. The hard-drive audio system also comes standard. A navigation system with live traffic and voice commands is optional, as is a Boston Acoustics premium sound system. There's also a cold-weather group that pairs heated front seats and remote start. Equipment for the 2013 Chrysler 200 Convertible is a bit different. The base four-cylinder Touring model comes with a power-folding fabric roof; the usual power features; a CD player and Sirius satellite radio; and cloth interior. 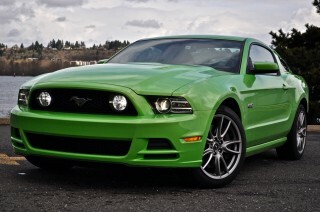 Options include Bluetooth with voice command capability, a USB port, and heated seats. The 200 Limited Convertible includes standard leather seating; a DVD disc player and a 30GB music hard drive; plus 18-inch wheels. 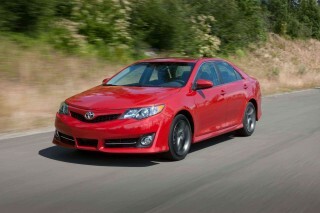 Nearly every other mid-size sedan gets better mileage than the 2013 Chrysler 200. Fuel economy was boosted slightly last year for the Chrysler 200, but you might not have noticed the difference; that's because so many mid-size sedans do better. 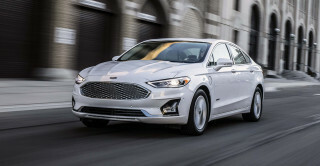 At either 30 or 31 mpg on the highway with the four-cylinder engine, the base engine in the 200 Sedan gets lower mileage than some competing V-6 sedans. And at 19 mpg city, 29 highway, the new V-6 isn't as bad, but it's still near the back of the pack for a front-wheel-drive sedan. We've managed to do a bit better in real-world driving, though, especially with the V-6. Over about 300 miles of mostly gentle highway driving in a four-cylinder Limited sedan with the six-speed automatic, we saw about 27 mpg, while in a V-6 over about 250 miles of mixed driving--including some city congestion--we averaged 24 mpg. The car can be better with comfort and features. How can i tell what kind of 200 i have? Its a 2013 chrysler 200 with a v6engine. Is it and S or LX or is it a TOURING? The chrysler 200 is an affordable car with a toouch of class. On the highway the car gets great mileage.